Dosing requirements will vary, but do not exceed the recommended dose without checking your pH and alkalinity (alkalinity should not exceed 6 meq/L). Use 5 mL for every 80 L (20 US gallons) daily until pH stabilizes to desired level. Use Seachem’s MultiTest®: Marine pH & Alkalinity to check pH and total alkalinity. For a complete analysis of alkalinity, use Seachem’s Reef Status®: Magensium & Carbonate/Borate Alkalinity kit. How much will one dose of eight.four™ raise my alkalinity? A: Each 5 mL of eight.four™ added to 80 L (20 US gallons) (standard dose) will raise alkalinity by 0.25meq/L (or 0.7 dKH). I am planning on using eight.four™ in my tank to boost my alkalinity. I see on the bottle that it says it safely raises pH to 8.4. Does this mean you cannot overdose this product? A: While eight.four™ is certainly a very safe and effective means of adding alkalinity, overdosing is possible with any product. 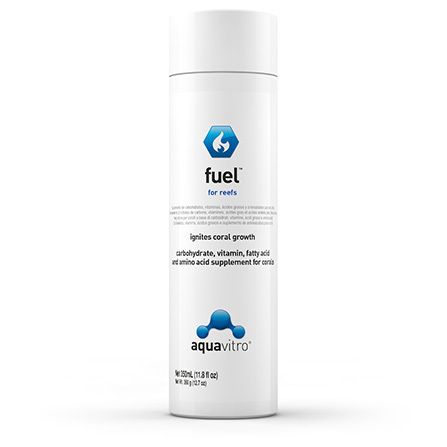 eight.four™ is blended in such a way that allows one to dose a significant amount more than the standard dose without overshooting pH above 8.4. 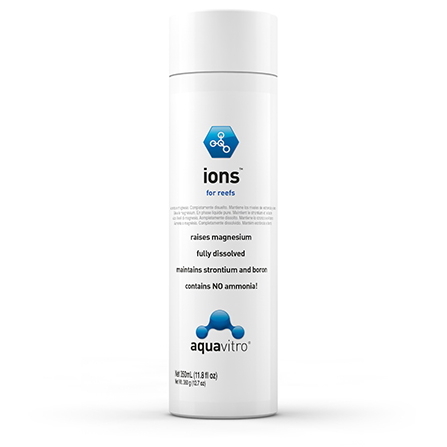 However, your alkalinity can still be overshot causing issues with ionic balance. Significant overdosing of this product could potentially cause too high of a KH, thus resulting in issues with maintaining other parameters, namely calcium. It is always best to test your alkalinity before adding the product and use it as needed. How do I know if I should use balance or eight.four to raise pH in my reef aquarium? Do they do the same thing? A: No, these are actually two very different products. 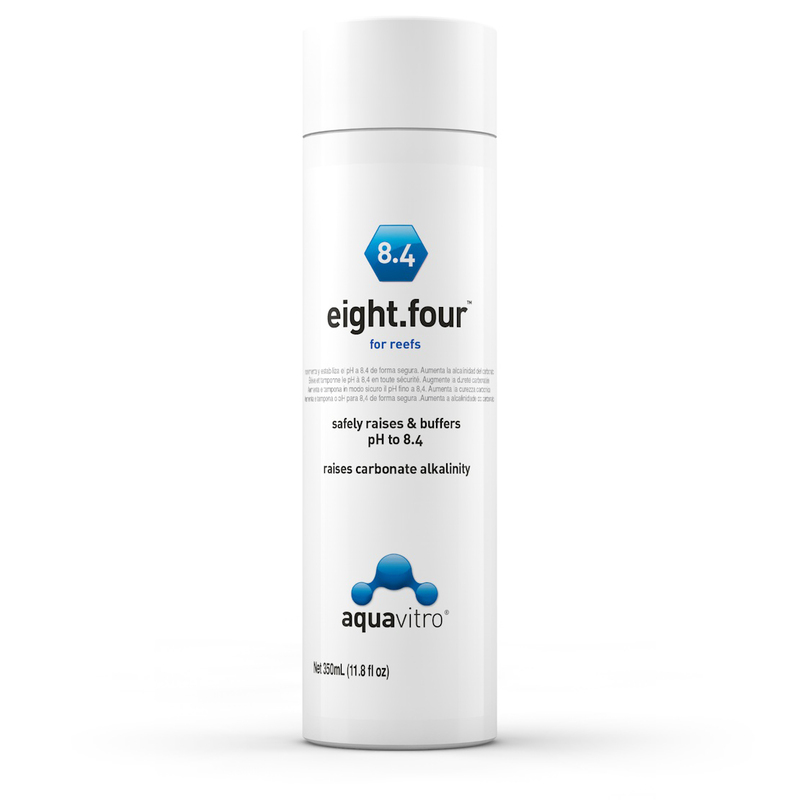 eight.four is a buffer that will raise both pH and KH (alkalinity) in your aquarium by adding a blend of buffering agents such as carbonates and bicarbonates to your system. 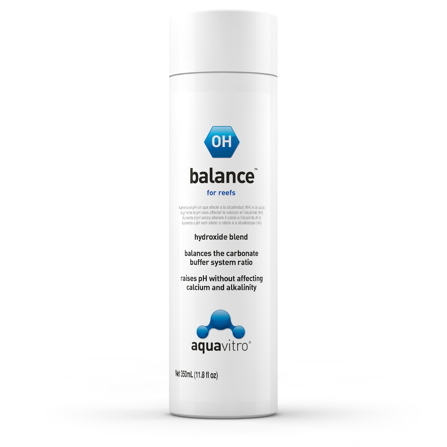 balance specifically targets pH only by re-establishing the proper bicarbonate/carbonate ratio by using a hydroxide blend to raise pH without having an impact on KH, calcium or magnesium levels. If your calcium, magnesium and alkalinity are all in the proper levels but pH is still low, you can use balance to correct this. 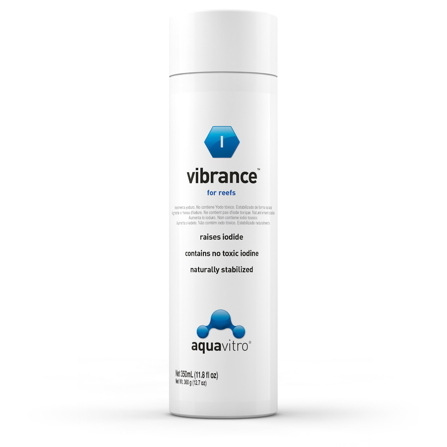 If calcium, magnesium and/or alkalinity is also low in addition to pH, then you may want to use eight.four in addition to other products in the aquavitro range such as calcification or ions to address any other deficiencies.